The bedroom is located on the second floor, and nestled among the foliage, which gives it a relaxed tree house vibe. 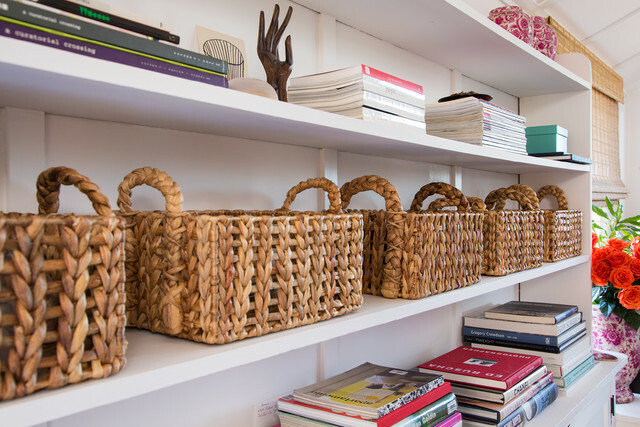 Creative storage solutions and a carefully curated approach to the items in the space, makes for an area that is cool, calm and collected. Located in the en suite bathroom, Aeli's closet space is limited - but she's good with that! She only keeps the clothes she loves there, without a lot of "filler clothes." 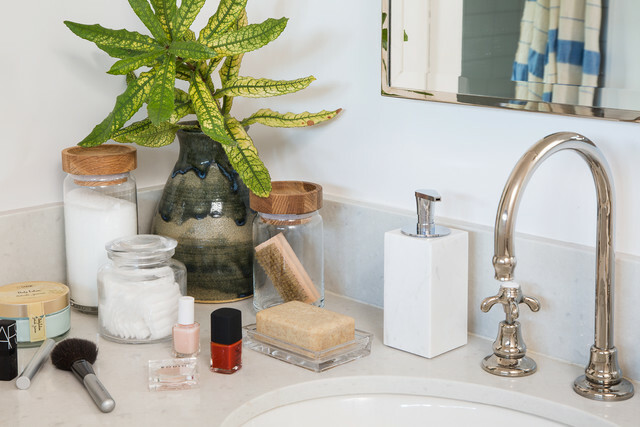 "I'm a fan of Marie Kondo and of only keeping items that bring me joy," says Aeli. 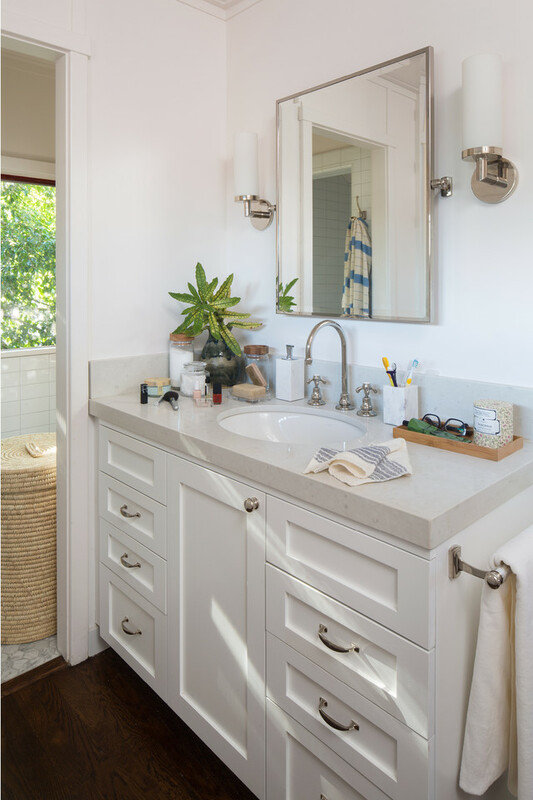 (If you're not familiar with Kondo's philosophies, check out her book The Life-Changing Magic of Tidying Up: The Japanese Art of Decluttering and Organizing) elfa shelving maximizes the space for folded clothes on one side of the vanity area and long-hanging clothes on the other side. 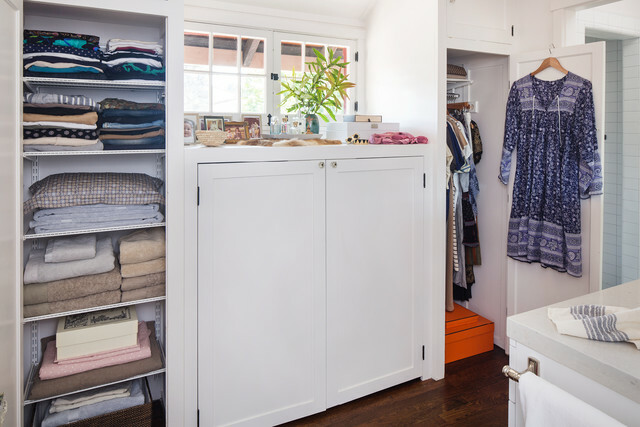 The lower closet area under the vanity is, again, organized with elfa, providing drawer space, more shelving and space for short-hanging clothes. Aeli says that before, the closet was functional but not efficient. Now, things are more visible and accessible. Shoes that used to be in their original boxes are now displayed on shelves. Aeli says she wears them more often because she can see them! She says her favorite feature is the bag hook on the back of the door. 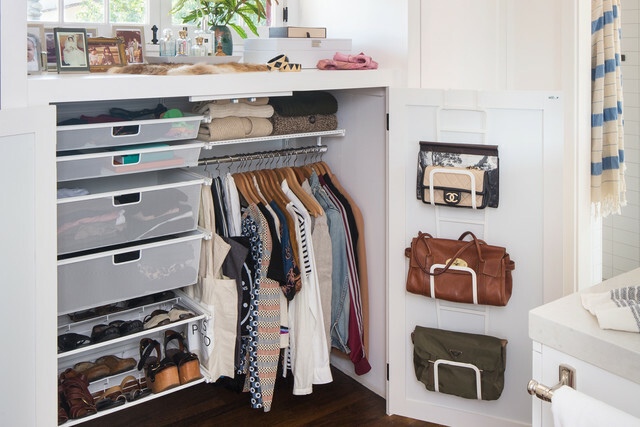 "The new valet rod is amazing and has changed the way I prepare to set up clothes for the next day or a meeting," says Aeli. She also uses it as a hook for steaming out clothes. 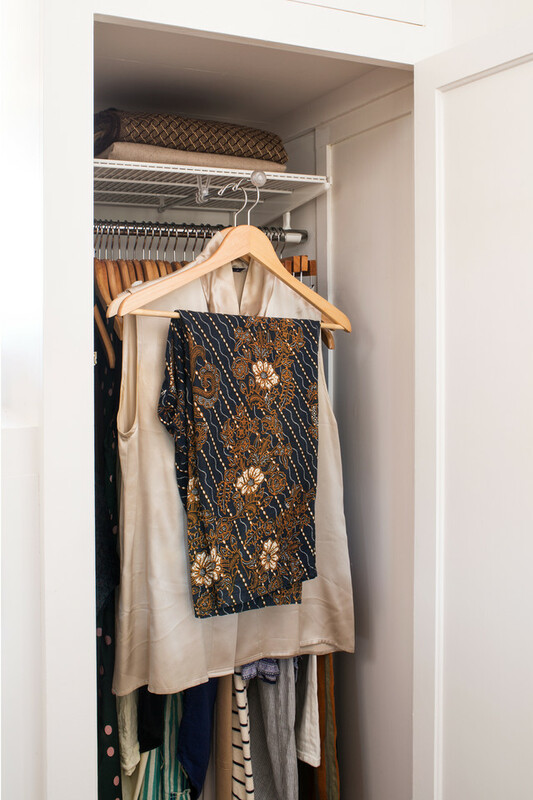 A collection of family photos and a collection of perfume bottles are artfully arranged on the surface space between the closets. 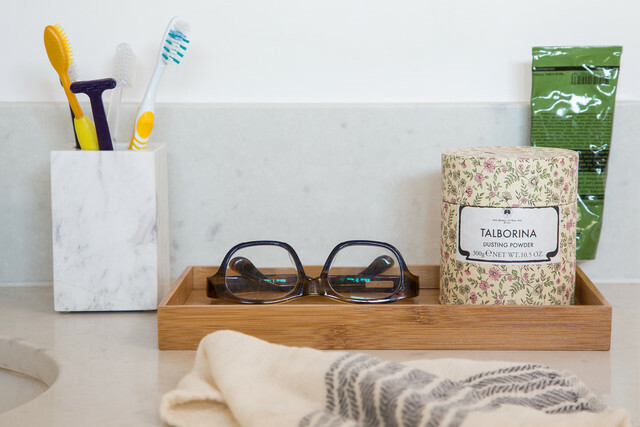 The bathroom sink area is organized with purpose and intent. It was important to Aeli that the space was beautiful, useful and uncluttered. The built-in shelving in the bedroom, again, holds only the things that Aeli treasures most. It's a place where she and her sweet "mutt" Chip, can slow down and relax. "It's one space I consider my sanctuary," she says. Ahhhhhh...we love it.